So Long Insecurity Discussion Conclusion! Hey, Darling Things! I am sitting at a Cafe Express in Houston on yet another gorgeous Spring day while Melissa (home for Spring Break) is meeting with a Wordpress moderator so she (and we) can develop some proficiency on this format. It’s more complicated behind the scenes than you might think. She wanted me to be part of the tutoring session but I told her that I needed to do this post. Then she suggested that I come along but sit at a different table while we do two different things. I tried planting myself only three tables over but I’m interminably nosey (does it go with size of nose??) and kept listening to what they were saying. I prefer to do that with total strangers, especially couples that appear to be on first dates, but not many people are at Cafe Express this morning for breakfast and no one appears to be dating. Does anyone really date anymore anyway? A subject for another day. So, as you can see, I’m dealing with a few distractions. And have had a bit too much Costa Rican. I think I’m allergic to berry notes. Melissa and I had an awkward moment when we pulled up in the parking lot and started stacking up our stuff to come into the restaurant. I have a paperback copy of SLI that I use to prepare our weekly discussions. All the sudden I flashed it at her and said, “I can’t take this in there.” How lame would that be? She said, “Tear off the cover.” So I did. Ripped that thing right off. It’s time for us to finish up! I am so grateful for your partnership through this journey. You were such a big part of the inspiration to write it (not because you’re insecure or anything… but because I knew I’d have a little company if I went public). When it came out, reading it together seemed only fitting. Thank you for your willingness to enter in. As for the rest of you, I can only imagine that you will be relieved to have this hog off the blog and I equally thank you for your patience. 1. Based on Chapter 17, on a scale of 1 to 10 (one-almost none, ten-over the top), how big a part has fear played in your life? After responding with your approximation, please share what, if anything, in the chapter resonated with you. 2. Reflect over the journey as a whole. What (again, if anything) lasting and of God will you take away from it? Thank you, thank you, thank you, Ladies. You are a great joy to me. May the God of peace sanctify us through and through – spirit, soul, and body – until we are wholly overtaken by Him. (1 Thess. 5:23) This alone will be the essence of wholeness. This entry was posted on Thursday, April 8th, 2010 at 11:20 am	and is filed under Uncategorized. You can follow any responses to this entry through the RSS 2.0 feed. You can leave a response, or trackback from your own site. 1. on the scale of 1-10, i’d say fear ranks in at about 6… it sure lurks in my heart and mind and gives me turmoil, but at the same time, i DO the thing anyway. i do it with knees shaking, but for His grace and nothing else, it doesn’t stop me putting one flip flop in front of the other and doing what He tells me… that’s usually just what is SEEN though, i can’t say that mirrors how my heart and mind gets through it :/ i know He has more for me there. as for what resonated most with me… the trade-off for trusting GOD, period. not to save us from the nightmare… but to bring us to the other side. He’ll still be there, He’ll still be Himself. i had to wrestle with this after a really serious accident i was in, which almost took my life. just feeling so vulnerable, like God, what happened back there??? what happened to You protecting me?! how did i get so hurt under Your watch?? how can i trust You to protect me next time, if You’re just “okay” with letting my car fling off the road at 70mph and roll down a cliff?! i still don’t know why that happened… and i don’t need to. is it part of life on a cursed earth? yes. did it get the last word? no! is He always going to save us from bad things happening?! no!! are we going to be okay in the end, even if it’s not with our physical life?! YES!!! He’ll always be there, and nothing will ever change Him. “i will wait for You, to come and rescue me, to come and give me Life…” ~ and maybe that rescue, that Life, is our final breath on earth and our resurrection to LIFE for all eternity! it’s not all about our little poofs of existence on this fallen ground, praise the Lord! 2. as for what lasting things i’m taking away from this wonderful and life-changing journey… i’m recognizing my roots and flares of insecurity much sooner than i could before and i can change my mind about my response before i make a fool of myself. i have it IN ME to live in security… this is awesome. i’m not at the mercy of what the day brings, or how people around me act. this world throws me down, this life throws me down, but I CAN STAND UP AND WALK. IN MY CLOAK OF STRENGTH AND CROWN OF DIGNITY. IN MY GOD-GIVEN SECURITY. i know who i am in Him and no one and nothing can take that off of me. oh beth, to tell you all that i’m taking away from this would be to write a book in response!!! and, i’m going to continue reaping from these seeds for the rest of my life (because you can bet your favorite pair of jeans i’m SOWING and not just eating), so who even knows all the change it’s going to bring! a really big and sincere thank you, from the depths of my heart for your work in passing this on to us, from the heart of the Father Himself!! i love you, dear beth!! I really enjoyed the discussion group even though i didnt respond. Are you going to do an online bible study for the summer on the blog? I hope so. I live in a remote area where bible studies are limited unless they are online. our current ladies group has just finished and will not resume until school starts. Please consider doing one and let me know. Thank you for your time and effort. Our Bible study group at church just finished SLI and loved it as a book study. So many hearts were touched during this study. Thank you so much for listening to God speak and then having the guts to tell the rest of us what He said. I feel like God is really freeing me from many of my insecurities. Layer by layer, experience by experience, they are falling away because I am indeed clothed in strength and dignity and I.. Have… this… treasure! God is so awesome!! I have referred to “So Long Insecurity” on my personal blog. Hey Beth I just passed on my copy of the book to the church I’ve been attending whilst back in Australia. Hopefully and prayerfully more women will be released from their insecurities! today i was in a situation where I immediately felt insecure and felt like the person was trying to make me insecure. Then I remembered what I had learned from your book and the Word and realised that NO ONE can take my security from me that has been given to me in Jesus. Thank you Beth for bringing that to light! I just recently completed the book So Long Insecurity and I just wanted to share how much of an encouragement it was to me. My name was written all over those pages!!! I always knew I struggled with insecurity I just never heard other people be so transparent about it. I really liked the part that says that what God initiates, He equips us to handle. I have been so guilty of trying to find out more than what was revealed to me and have been extremely hurt in the process. This one statement opened my eyes that He is just looking out for me, not trying to hide things from me. But what really got me was the statement that God uses painful experiences to birth my life passions! I knew this but I needed to hear it. You see my passion is marriage & family, but that passion came at a great cost. I was married almost 9 years & had three boys when my husband left me for the woman he was having an affair with. Talk about being insecure!!! I desperately wanted reconciliation but he did not. I was a believer and he was not and he was adamant about not working things out. Turns out the woman was married too and through this tough situation I was able to minister & witness to this woman’s husband & he became a believer. We married and have been blessed tremendously. (yes, the woman’s husband & I married! Funny huh? )God definatley has a sense of humor but most importantly God took a horrible situation and turned it for His good. Isn’t He wonderful? We have a great relationship & we now both strongly desire to see marriages work & families be saved because we see first hand the effects divorce has on everyone. That passion has only deepened through the years and we strive to see couples stick it out & honor the committment they made to one another & God. So thanks Beth for putting that info out there! I will most definatley recommend my girls to read this! I’m so glad God spoke through it to you, Bobbie Jo! I’m so honored to serve you! I have been on the journey of “So Long Insecurity” now since the book released. I read the book twice, did the blog discussion, and attended the simulcast and thought I was doing pretty well. However, last week God showed me I am still struggling with it all. My birthday was last week and I seem to have a hard time around my birthday. My love language is gift giving but my husband, family, etc are not into gifts at all. So, sometimes Christmas and my birthday can leave me feeling a bit blue. This year I asked God about a week before my birthday to give me a gift. The day of my birthday arrived and by mid afternoon I was feeling down. I lead a women’s Bible study and the past couple years I try and remember each ones birthday and this past year I also started taking ladies from our church out for their birthday. The reason I was feeling down by midafternoon was that the only “birthday” wishes I had had to that point were from my mother and my grandmother — they have to wish you happy birthday, they are family. I checked facebook – not one wish. Checked my email – nothing. Even double checked my cell phone and there was no text or message on there either. I sat down and poured out my heart to God and He showed me right there that I was basing my security on if people wished me a happy birthday. I have many “friends” but not any “close friends” and I think my birthday always brings out this lack for me. I like to make big deals out of other people’s birthday and wish there was someone that would make a big deal for me. God’s gift to me that day was showing me the root of my yearly birthday “blues” and reminding me that my security is to be in HIM and not man. Happy Belated Birthday, Kari! I wish your friends had come through for you but I am so thankful that you seem to know you never leave God’s mind. He is gracious to remind you that He is different from every other person on earth. Don’t lose ground, Sister! I was watching one of the videos in Believing God. 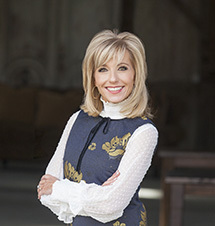 Beth Moore says “How many bad decisions have you made because of insecurities?” I was ALL EARS thinking “I live that!” but that was basically all that was said. So when So Long Insecurity came out I was all over it. I am almost through listening to it on CD….fitting it in between kids in the car times while we are listening to children’s tapes. It has been the right thing at the right time in my life. Thank you Beth so much for writing it! I just finished the book and was not aware of the blog or online weekly study. I was introduced to “So Long Insecurity” by my counselor. A couple of months ago I reconnected with the absolute love of my life who I’ve known for 18 years. (A vast history between us of ups and downs including me marrying someone else that led in divorce,the love of his dog whom I “stole”,his house burning down, my mother dying from a horrific battle with cancer,house buying, and the love of the same dog dying after my mom) I’ve never been able to figure out why things never seem to work out between us…until now. In one day (about 2 months ago) I managed to get him so upset with me he wouldn’t speak to me and was pretty much finished with me altogether and on the same day I managed to get my older sister so upset with me she wouldn’t speak to me either! I decided that I was the common denominator in these relationships and that I needed to figure out what my “issues” were. I am able to receive counseling for free through my work so I got myself an appointment. It was during my second session that my counselor recommended this book. I was thrilled because this counselor is through my work which is with the County so I was thankful she was not afraid to share her faith with me! Those feelings are now stronger than ever, and so are we. I have had moments of insecurity that I have now been able to identify as such. Irrational fears that have no reason to even be there. I physically stop what I am doing and say “This is not from God and I will not listen to these lies. God, please give me the strength and wisdom to ignore them.” And next thing I know, the insecurity has passed. I teach middle school and am surrounded by the insecurity of young adolescent girls daily. I want to be a strong, secure woman that they can look to as a role model and this book spoke volumes to me in that area…. I WILL “Now get out there and show some wide-eyed little girls what a secure woman looks like.” !!! I just finished the book this morning and am so glad I read it!! More than you know! I have read many Christian books trying to figure out, “What in the heck is my issue here?” And they have helped to an extent, but NOTHING like this book has. So I have battled this insecurity, fear of rejection, fear of being alone for quite sometime, because I often felt alone and abandoned when I was over my dad’s house as a kid, and to have the one man who I thought to be my dad taken away so suddenly, I was doomed from the start to have the enemy toy with my emotions, I just didn’t know how to resist. So you can see that from this, I have issues with relationships with men. I want to badly to have a dad that I can go to, jump in his arms and feel safe. I know now that I won’t ever have that, but I DO have God, and that is all I need. He is my father, and I am so glad to have these experiences to realize He is everything I could ever need and want. I am still working on issues with my relationships with men, I often feel like I am not wanted, pretty enough, or that my man is going to want someone he works with or goes to the gym with. People tell me I am beautiful and sweet all the time, but I probably wouldn’t believe that or even be happy if I heard it every day from everyone, that’s how insecure I have become. I am afraid of being left like you mentioned Beth, having my man of a year and a half leave me for someone prettier, someone who doesn’t argue with him or ask him every day if he really does love me and want to be with me and have a future, I have since realized how annoying that would be if the roles were reversed and how weak that the enemy is making me look. I have played out the entire scenario like God had you do from beginning to end so that if indeed it did happen, I see my self moving on and becoming victorious at the other side! My guy has loved me more than anyone else, and if he doesn’t say “I love you so much” as apposed to just “I love you” I think something has changed and that he doesn’t love me as much or doesn’t want to be with me anymore. As silly as it sounds I use to go to my friends all the time and be like, what do you think, do you think he means it or is that true?? And now I realize the thoughts are silly and that love is love and if its true love it doesn’t matter whether someone tells you “I love you so much,” or “I love you,” because they do. Life is such a roller coaster and I always thought that when my guy wasn’t saying the things I wanted to here that he was upset at me or that something was wrong with us, but I realized that I was being selfish and that everything wasn’t about ME all the time and I am not that kind of person either which frustrates me that I let the enemy get me to that place. I am a giver and I love to give to others, and I know that is what Christ wants me to do. I would LOVE to go to a third world country and just put myself in a place where I know God is and minister to those over there and help in any way I can. I know its an expensive journey, but I think my church and friends would help out. I work as a nurse with kids with cancer and I see the pain they go through everyday, but yet they still seem to find the joy in the littlest things, and I think why can’t I do that?!!? I know I can, and I know right now God has brought me to you, to this book, and to more of an understanding of why I act and do the things I do and that I need to change those things to better serve him and others. You have NO idea how glad I am I was brought to this book and this blog. I know I don’t need a psycholgist or anti-depressant, God is my psychologist and anti-depressant!!!! You have no idea how many people you have already helped and will continue to help!! I don’t do blogs, but will definitely follow this one! You really have no idea when I say that you have been a true blessing! I cannot tell you how many times I have sat in the middle of my floor crying thinking there was no hope for me and that I would never find happiness, and I know now that I have had it in Him all along. Keep doing what you are doing Beth and I will continue to follow! P.S. I KNEW too this book was for me when your daughter made reference to the “Lord of the Rings” move!!! I love those too! I am not really into girley movies and got into that trilogy and LOVED it so I was totally able to relate to her story and found that her words were humbling and touching! You and your daughters are goegeous! God bless! I attended the seminar in St. Louis last month. My mother bought me the tickets for Christmas. When I tell you that I shrilled with excitement as tears ran down my face… that doesn’t even begin to describe the flood of emotion I felt! I wish I could tell you in person how much I appreciate you allowing God to speak to me through your bible studies. I can never say thank you enough. I commute to work every day and have had your studies and or books on CD with me almost every mile! While I was at the seminar in St. Louis, I bought the So Long Insecurity book on CD. All I can say is Wow! I have three beautiful daughters that have watched me grow over the years into the mother that God has called me to be. I came from a life of complete dysfunction that was represented as life in a Christian home. (I was a PK) After I had made a fine MESS out of my life, God had this talk with me in my spirit and requested my acceptance of what He could only know I was ready to do. It was high time I quit wallowing in my own self pity and be the woman He made me. When He pulled me from the pit (that I created mostly on my own)… He completed me as the mother that my kids needed and deserved. I love how God leaves no stone unturned! I remarried 2 1/2 years ago to a wonderful man of God that I met in our Sunday School class. I had no earthly idea how insecure I really was until your book. I knew I was afraid of never being enough for anyone… but I never recognized to what degree my fear had impacted my life and the lives of those around me. I am that girl that always surrounds herself with less attractive friends, sizes up women when I walk into a room and immediately inventory what I have that she doesn’t or what she has that I don’t! YUCK! WHO DOES THAT??? I decided while listening to you read this book to me that I WILL NOT be that woman anymore. And, if I have any say in it… my girls won’t be that woman either! Your book taught me some great tools to “stop the insanity” and to claim the woman that God made me ON PURPOSE! Thank you again for delivering this much needed message from God. I started read the book back in Feb. with all of you and I finally finished it last night (8/1/10). I know it took me forever. I don’t know if you ever get to read this, probably not but I will leave the comment anyway. Unlikely doing your in-dept bible study, following SLI instructions had been a little harder for me so I just read the book. BUT I didn’t just read it. I chewed on it, meditated it, memorized the Word, practiced the Word and did the Capt. 9 prayer. I love the chpt 17. This morning, I told God that I want to trust Him. Asked Him to help me to believe and learn to trust Him. See the thing is that I do quite time and read His word every morning but I still struggled to trust Him. I do love Him and He is everything to me but I often act like I don’t even know Him. That He is not there and real. I know today I feel like I am going to trust Him no matter what…I can do this..I can do all things through Christ but tomorrow can be different story as it always had been. But I also know His grace always turn me back to Him to focus only on Him. I have 9 years old adopted son. We brought him home last September from Thailand (I am Korean) and I am having a hardest time loving him. Adjustments and rejection was hard. My most ugliness side of ME has resurfaced. I thought I was dead. Sometimes I have strength to rebuke my soul to “Live by the Spirit, you will not gratify the desires of the sinful nature” with my index finger point right at myself…sometimes Me, Myself refused to open my mouth. Today is another day. I will fight to trust my God. I know why but I often asked Him dumb question like “Why do you love me so much?” He could just let me be and kept on sinning because I am that bad. Thank you so much Beth. You are bearing much fruit. My daughter and I are doing A Woman’s Heart study and we are loving it. We will see you at the Rupp, Lexington KY on Aug. 13-14. 1.I don’t always have to hash it all out. I so want to, but learning to turn it over and leave it alone. 2. I can choose trust. I must choose trust. Each and every time fear rears its ugly head, I choose trust. I just finished your book this morning. To answer your posted poll, on a scale of 1-10 fear probably checked in at about an 11 with me, especially when it relates to the fear of losing a loved one, particularly my 3-year-old son. Although your entire book was amazing, I want to sincerely thank you for your tender confessions about fearing the death or loss of one of your children. I actually experienced a great deal of anxiety and insecurity over the fact that I have envisioned those same horrifying possibilities, including the intense grief and anguish which would inevitably accompany them. I have even soothed myself, in the past, with the knowledge that if something ever did happen to my son, and the pain became too horrible to bear, that I would simply determine the point at which my earthly life would end, in order to join him. After reading your heartfelt testimony, particularly the section about trusting God, I can honestly say that possibility will be forever removed from the darkest parts of my brain in which it lurked and festered. Moving forward, no matter what happens in my life – ever- I have the option to trust God and His eternal promise. From the bottom of my heart, I truly thank you Beth. Your book was amazing, and has provided a wonderful tool to help Jesus repair the many holes in my heart which have been oozing with insecurity, fear, anxiety, worry & pain for far too long. A friend borrowed her copy of So Long Insecurity to me and I was amazed. I had no idea that other women feel these insecurities. I kid you not I thought I was the only one. Wow I am so glad to have learned this it seems to put us all on the same level ya know. Like I am no longer way beneath everybody.Before I even knew you had a book about this subject God had begun to show me that a lot of my insecurity was rooted real deep in PRIDE. I am always wondering how other people see me and if they’re annoyed with me or if they really don’t like me and are just tolerating me because they have to.When I just focus on myself and how others perceive me then I have made myself my idol. I hope to learn to trust God in who I am in Him not focusing on my past, but looking to who He is transforming me into and more than that focus on God.The more I focus on him the less I will focus on myself and therefore be less insecure! Thanks for showing me we are ALL human. I am actually excited to interact with other folks cuz I know they (most of ’em) struggle with these same things. Not that I am glad we struggle but I’m not alone anymore! I am battleling so much right now. I really need help. I don’t even know if you read this (there are so many responses!) but just writing about it will make me feel better. I just read your book and I never imagined all that it would mean to me right now. I started it and than stoped for a while because I had just had my baby girl and wasn’t finding time to read it. Than something happened. I laid down to sleep one night and suddenly started hearing God (or so I thought) saying to me that my son was going to die. I started sweating and got a stomach ache and felt tormented the whole night. It was horrible! I have a 2 and half year old son and last year we (he and I) were in a car accident, were taken by hellicopter to a hospital. I was ok, but he had head trauma, fractures in his skull and internal bleeding in his head. But God did a real miracle, he did not need any surgery, stayed 8 days in the hospital and we came home. 3 months later we saw that his fractures were slowly healing and the blood was gone. Throughout the year we went through a lot of ups and downs with worries every now and than about his process of healing. But I finally stopped worrying so much about everything and aknowledged that he was ok and that God had done a real miracle and I should be thankful and rest in Him. One more thing that happened right after the accident was that I got pregnant, and when I was 7 weeks along I felt a lot of pain an had some bleeding and thought I was losing the baby. I almost had a miscarriage and had to stay on bedrest for a few weeks (it was hard!). Anyway, I think all these things, plus the fact that I was so tired with a newborn and a toddler fighting for my attention, made me vulnerable and the enemy sent his flaming arrows in my mind. I’m really tired though…praying that God will strengthen me again, I feel weak. By the way, Beth, I forgot to say that I am a brazilian, and live in Brazil…I thought it would be nice for you to know that your book impacts oversees too! 🙂 I have a list of friends waiting for me to lend the book! But I want to use it in my mom’s small group before I lend it. Going to talk about it there. Hopefully, while I plan the study, it will impact me some more and make me stronger. WOW! My Bible study group has been reading this book for the last several weeks. I must say when this book was chosen (even though I love everything you do) I was not that thrilled. I was hoping for a very intense study like Daniel but God knew what I needed. Myself, along with the members of my group have had so many amazing breakthroughs! This book is truly life-changing. I want every woman I love to read it(and a few men too). I bought a stack to give as Christmas gifts! In our closing prayer at Bible study each week, we thank God for you Beth. Because of your willingness and surrender, God is doing amazing things in the lives of women. I know you probably hear that all the time but truly, we are so thankful to hear the voice of God through you and your ministry. I know that this post is an old one – but I just finished reading this book and wanted to say how much it meant to me. Fear of losing people’s love and respect has always affected me and how secure I feel. I’ve always felt like life was about to collapse – like it was built on a crooked fountain, tilting before the winds and storms even hit. I realized through your book and teaching that in placing my security and building on others opinions – I was making them idols and giving them higher importance than God. I always convinced myself that I loved God more – but I realized that I was fooling myself. I want to be secure and safe in God and pass on that security to others. In relationships with others, insecure people are driven to make themselves irreplaceable to the other person because deep down they themselves feel that they are easily replaceable people. Thank the Lord Jesus that though this view is “perceived” as reality, the fact of the matter is that it is not true. What it really all goes back to with our view of how others see us is our view of how God the Father sees us. Our view of how others see us is dependent first on our view of how God sees us. The Lord pricked my heart about this and then ingeniously directed my thinking to get me to think about how He views me in light of being replaceable. Surprisingly, I found out that my thoughts deep down have been that–even God views me as being replaceable. I mean, seriously, how could I not be replaceable to a God who, if I were to somehow go out of existence beyond His control (hypothetical), could just create another being instantly to fill the gap. The hole my loss would create could simply be filled in and forgotten at the onset of a new creation. Additionally, He has billions of other people to love so why would His heart be pained if I were to not be there? And thus, my issue of feeling like I am easily replaceable in any relationship with beloved people is an insecurity resulting from believing that I am easily replaceable with my Jesus. Thus, out of this insecurity, we drive ourselves to make ourselves irreplaceable to the other person. Legalism of “works, works, works” for God, I believe, is largely out of striving to become irreplaceable to Him–even though He holds everyone of us up already as being irreplaceable. Here it is, I firmly believe Martha was a hugely insecure person in this like fashion of “working” to become irreplaceable in Jesus’ eyes. Mary had true security. Stark contrast between Law and Grace in that story. Each child of God is aboslutely irreplaceable. If I were to go out of existence today, there would forever be a hole and a pain there in His heart were my place was, and that even if He created other people, He would still love them amazingly exactly like me, but the pain of my loss to Him would still be there in that specific spot never to be filled by anyone. Same with any child of God. If there are “replaceability” fears with people, I think we need to see if we have “replaceability” fears with God. It’s where your beauty comes in view…. And through the eye’s of beauty…. When someone was “nice” to you…. I just finished SLI as well as watched the SECURE simulcast. I have been blessed so much. I was one who definately thought my insecurity was going to be with me the rest of my life. I even thought “His strength is made perfect in my weakness”, so it was a good thing to be insecure! I realize now that I have a CHOICE and I choose to be free!!!! Thank you Beth!!!!! I can’t thank you enough for this book! I recognized myself in so many pages. I recently went through a period where my husband had an emotional affair. I felt the rug had been completely pulled out from under me. I grew up not knowing I was loved and always seeking approval and love from my parents. I never received it from them and somehow transferred that insecurity onto my husband. I feel so free now to know God loves me just as I am and the only approval I need is His. I still need to ask myself, sometimes daily, what is the worst that can happen? My husband and I are still trying to work it out – and if it doesn’t work out – I know God is there for me and I will be sad, but eventually happy again. My book is highlighted throughout – I refer back to it often and continue to carry those verses with me – I am clothed in strength and dignity! Thank you Beth – the Lord has sent you to change lives!